It’s no surprise that the staff here at Birch Aquarium love our creatures. We asked around and the team let us know what creatures they love the most. Their answers might surprise you! Did anyone pick your favorite? The Picturesque Dragonet has a protective layer of slime covering its brightly colored body. These charismatic fish are only about the size of your thumb. This little fish is often hiding in the Mangrove Exhibit in the Hall of Fishes. 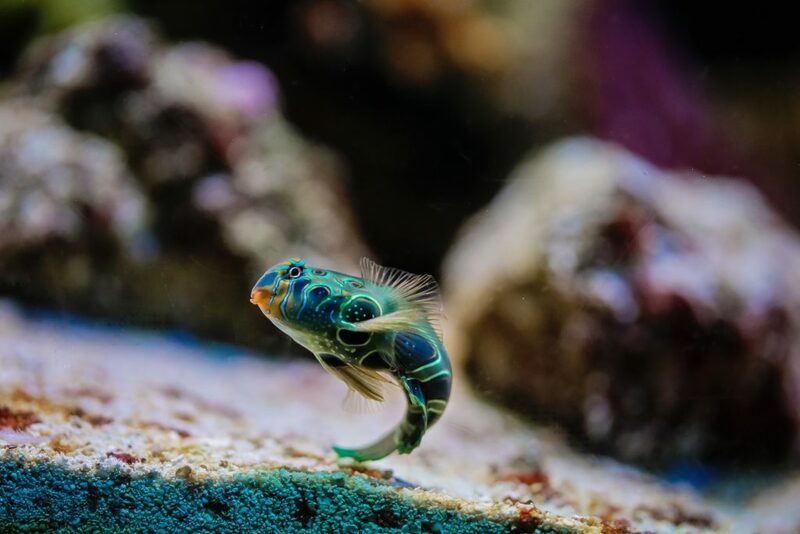 My favorite little fish in the entire aquarium is HANDS DOWN the Picturesque Dragonet. Not only is it absolutely gorgeous, I love showing our guests how it will follow your finger and interact with them. Find this favorite in the Mangrove Exhibit… it usually hangs out on the bottom right or left side. Biggest sea slug species in the world! Named “sea hare” because of the rhinophores on its head that look like bunny ears, but are used for chemoreception as opposed to hearing. A guest once told me that touching a sea hare felt like “petting a velvet water balloon”. 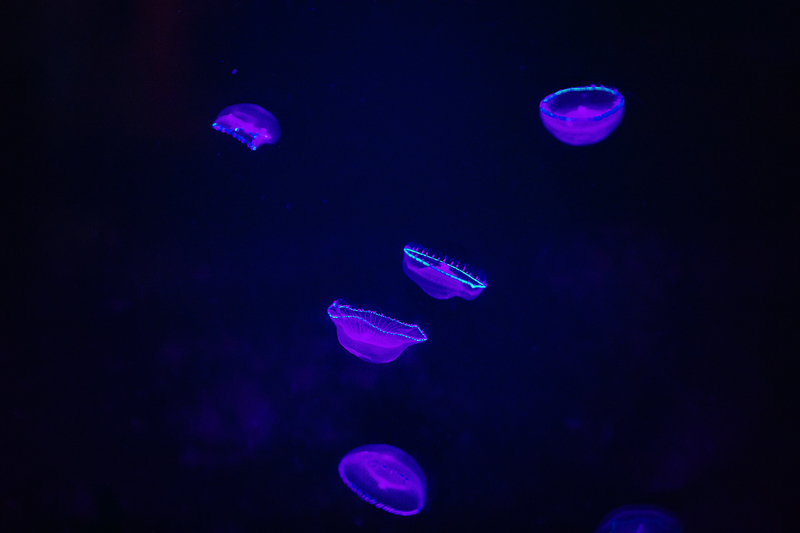 Crystal Jellies fluoresce under black light. Use the button next to their exhibit in the Hall of Fishes to see their appearance change between natural and black light. I love the glowing jellies! 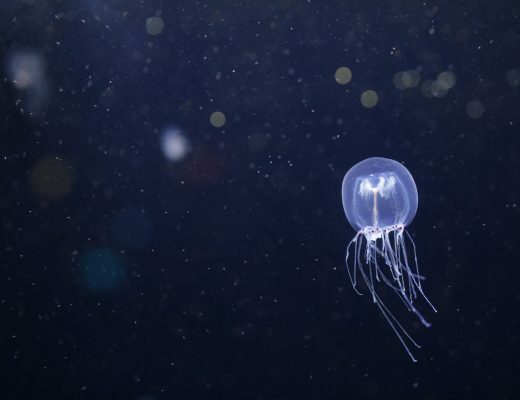 They are beautiful and so peaceful to watch, kids love pushing the button, and a jelly helped win the Nobel Prize and revolutionized the world of medicine! So casual. You go jelly, you go. 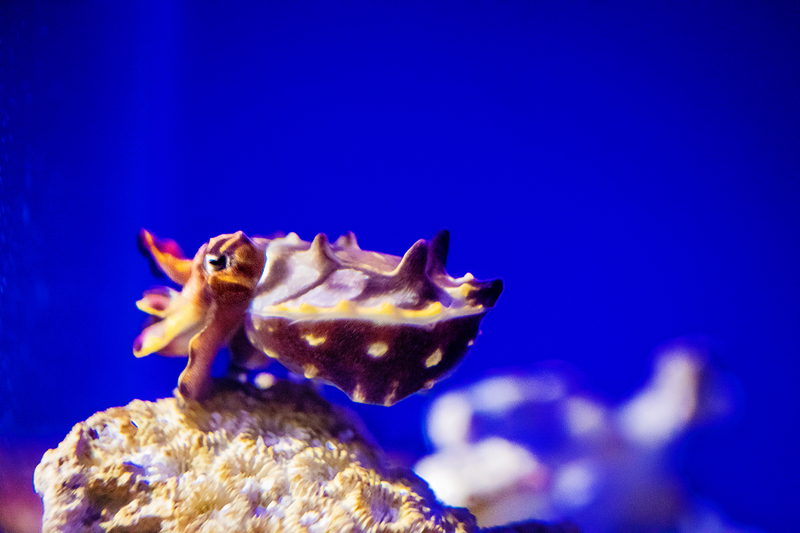 The dainty Flamboyant Cuttlefish uses its arms to walk along the seafloor. These charismatic little cephalopods communicate and camouflage by changing the color and texture of their skin. Look for them in the Hall of Fishes Nursery. The name says it all— they are amazing creatures with a multitude of talents. I love watching them swim and WALK around the substrate with their arms and modified “feet”. 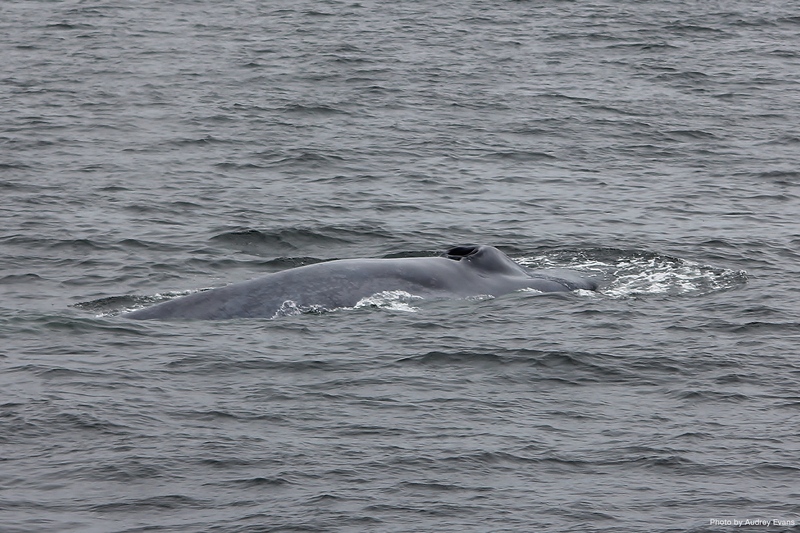 And of course their camouflage ability is unbelievable! The box-shaped cowfish got its name from the two horns above its eyes. Scientists aren’t exactly sure of their purpose, but they could be used for display or protection. Spot the cowfish in the Mangrove Exhibit in the Hall of Fishes. 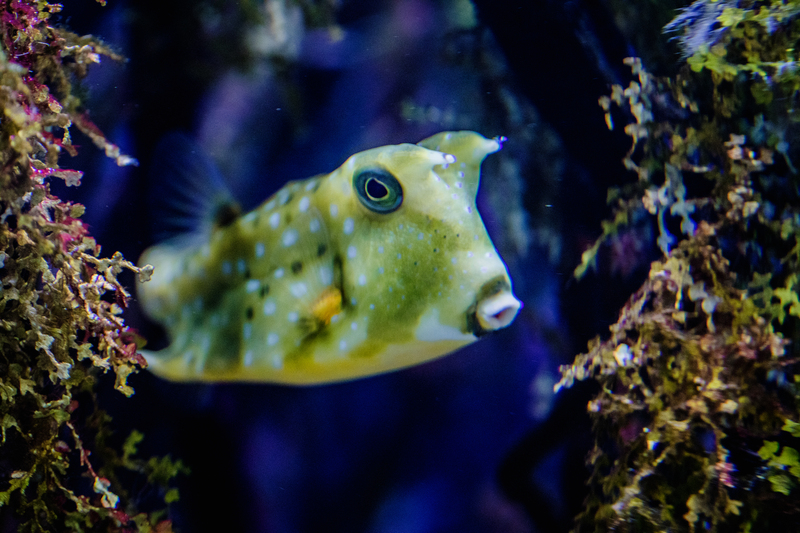 I love our Longhorn Cowfish! Every time I’m in the back (which doesn’t happen often but still) it says hi to me! it literally pokes his head out and looks at me! And it is crazy how it looks and that it has that square shape body! 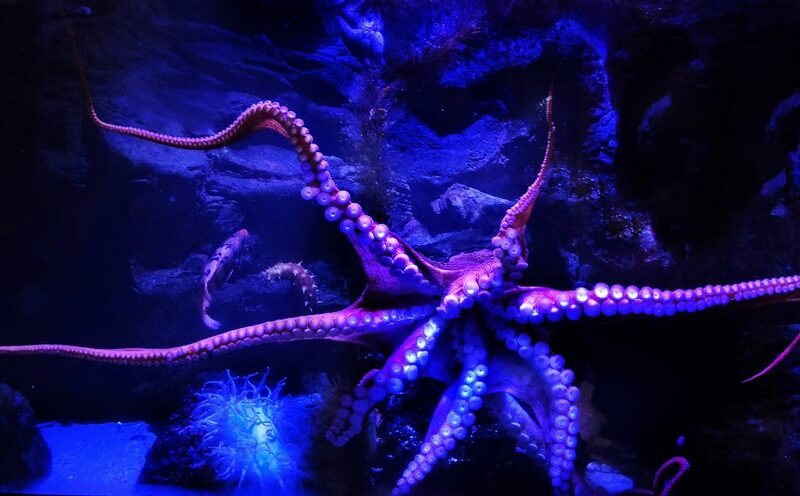 The Giant Pacific Octopus is the largest known octopus species and when stretched out our girl’s arms easily span the width of her exhibit in the Hall of Fishes.